As I still have not Photoshop, I continue to use vectors that are not mine! 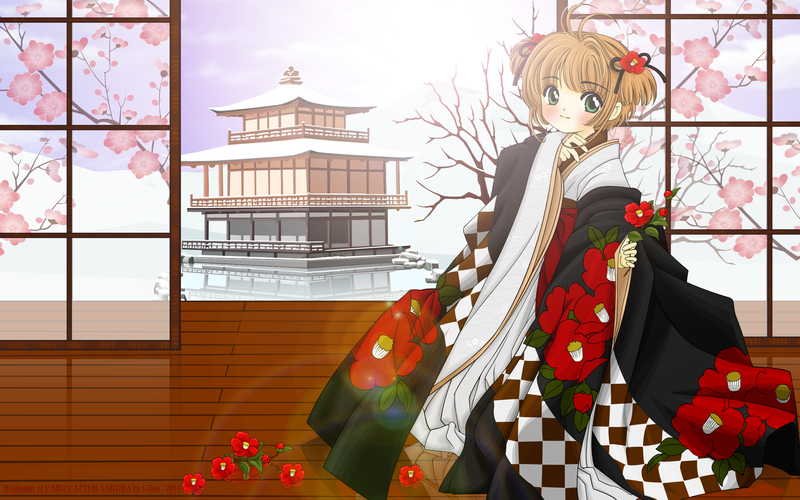 A big thank you to kunogi09midori for fabulaux vector of Sakura! Is not she too cute? I hope I have highlighted in this BG in both winter and hopeful! Oh wow I think this is so pretty, I love the background it so goes with her. Such great details to. I love this its so creative..*smiles*. I'm so honored. You used the whole vector (unlike me...) Nice touch on the lighting. Feels like a winter morning in Kyoto. Nice floor too; love the reflection and the scattered flowers. i love this. it's so beautiful. i think the best part is the background you used. it really fits the wallpaper really well. good job. Why is this not elite yet? It is absolutely stunning, really awesome work (well, of course, you made it :P) Will be on my desktop this winter for sure! a kimono and castle..that's fit perfectly!.. Ohhh! This is so Kawaii! I love this pic of Sakura. I love the background too and the lighting. Very nice XD thanks for sharing!